I have conservatively estimated that prior to the purchase of our motor home, we’d spent over 450 nights in a hotel room as a family in only a couple years. This, and that I worked at a hotel for over a year and a half, leads me to think that I can offer you a few words of wisdom when it comes to how to save money on hotel rooms; particularly how to get discounts, what to ask when booking a room and what chains to avoid like the plague. But this may take awhile, so for your sake, I’ll break this information down. Let’s begin with some money saving tips. When it comes to staying in a hotel, you’ll often get the best rates if you book well in advance. Hotels are driven by supply and demand. As demand for their rooms increase so do the rates. Typically, you won’t find your best rate during special events, weekends or holidays. As a former hotel employee, I can safely say that the sooner you book your room the better. I sometimes took reservations for rooms up to 364 days in advance, as prices increase every year. If you have the luxury of knowing your travel plans that far ahead. You can always shop around for a better rate and cancel your existing reservation if you find one, but if not, you should have a pretty good rate locked in. Now, what about those times when you don’t have as much notice? Certainly the more notice you have the better, right? Well, not always but this is where securing your hotel room can be a bit of a gamble. You can make your reservations ahead of time or wait and hope for a last minute deal. Let’s continue talking about advance reservations. If you are calling the hotel directly, always inquire as to what the best rate is. It has been my experience as a traveler and as a hotel employee that your best rate is normally going to be an Internet rate for reservations. But that is not always the case as policies differ between establishments, your best bet will be to ask the hotel representative directly when calling. If you ask they are normally straightforward. Also, be sure to ask about AAA, AARP, Military, Corporate, Pastor, and Government rates. If you are eligible for more than one, inquire as to which rate will reap the biggest monetary savings. Finally, ask if the hotel is offering any manager’s specials. If the hotel is under booked, the front desk representative may be able to offer you a special discounted rate. The hospitality business is very competitive and if you walk into their hotel, they want to keep you there and don’t want you to go next door to their competitor. I was able to offer substantial discounts if the customer asked. Why offer a discount to someone that is willing to pay full price? So next time you travel, remember, you can bargain a bit and ALWAYS ask for discounts! Let’s talk about AAA (formerly American Automobile Association) for a moment. I’m sure many of you have heard of AAA. Some people chose to enroll in the club for peace of mind with the roadside assistance. Our membership has certainly paid for itself several times over. We’ve had our vehicles towed on more than one occasion and several years ago I went through a period when I couldn’t seem to remember to remove my keys from inside my van before locking it! Thank goodness we had AAA then! Some chose to join AAA for the travel planning services they offer; did you know that AAA is the largest travel agency in North America? Although I don’t normally use one of their agents when I’m planning a trip, I do love the online triptik feature and always peruse the Tourbooks before visiting an area. But the biggest motivation I have for joining AAA is purely financial. You will save money while you travel! In one week, we were able to save enough money off our hotel room with the AAA rate to pay for our annual membership! Hotels aren’t the only places you’ll save. You’ll save on rental cars, campgrounds, discount tickets to big attractions (like Disney) and even retailers. A membership is certainly worth consideration. You’ll be amazed at how much money you can save if you can travel during the off-season. We’ve stayed at incredible hotels that were normally several hundred dollars a night on their off-season for under $100. The trick is to travel when you can save on your hotel rates, but not to miss out on the attractions that you want to see in the area that sometimes close or have reduced operating hours certain times of the year. You’ll always pay more during special events. The hotel I worked for catered towards the racing crowd. That meant that during those key races if you were able to find a room, you were going to pay double than if you traveled the week before or after. When making a reservation online, try several different dates and see if you get a price difference or call the hotel and ask for quotes for several dates. Just remember that those rates aren’t locked in until you make your reservation. If you prefer not to reserve your room in advance, or don’t have much notice that you’ll be traveling, a coupon rate will be your best rate if the hotel offers them and if you have one (coupons can be obtained at gas stations, rest stops, visitors centers ad now online at HotelCoupons.com). Always call the hotel to verify that the coupon is still valid if the designated rooms are still available and if there are any additional costs. Make sure to read the fine print. The coupon will normally be for a specific room type or will only allow so many people, maybe one or two, with a surcharge for additional occupants. 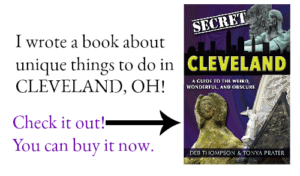 You can also save money on travel with the Entertainment Book. You’ll find coupons and discount codes for many popular hotel brands nationwide. If you don’t have a coupon, ask what your rate will be with any discounts that you qualify for. If you are planning a trip to an area that you will be spending a minimum of 7 days, call the hotel directly to speak with a manager and ask if they can offer a weekly rate. Remember, it never hurts to ask! Join a rewards program. Almost all hotels offer them, it’s free and you’ll be surprised how fast those rewards can add up. Especially if you travel during specified promotion periods. This year we’ve already received quite a few free nights! But then, we’ve already established how often we frequent hotels or used to. Find out how quickly you can stay your way to free nights here. Now, attention homeschooling families, do you know that HSLDA has negotiated a 15% discount for members at Choice Hotels? Comfort Inn, Quality Inn, Comfort Suites, Clarion, and Mainstay Suites** fall under the Choice name and are normally a good mid-priced hotel to consider. If you are reserving a room online, always call the hotel directly to verify that you are receiving the best rate. **Rodeway and Econo Lodge also follow under the Choice Hotels umbrella, but I’ve had enough BAD experiences at both that I will not recommend either of those chains. Finally, there are online bidding agents such as Priceline, Orbitz, etc. While I have heard of people really saving substantially at amazing hotels, I prefer to skip the bidding process and know in advance what hotel I’m going to stay at, be it good or bad. There you have it, hopefully, I’ve given you some ideas on how to save money on your next trip- and if you take my advice, why not leave a comment telling me how much money you saved? Or if you have tips you’d like to share, please do! 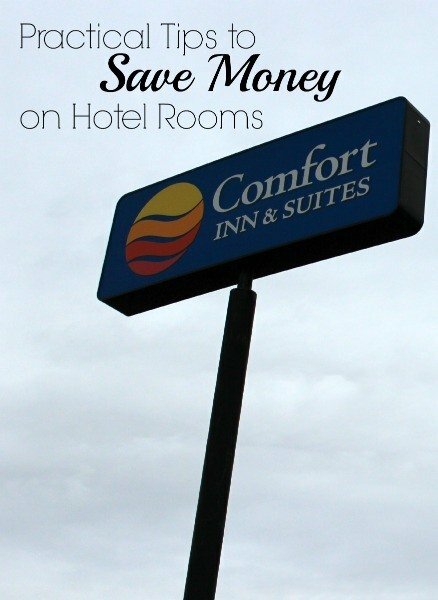 How do you save money on hotel costs? This post was originally posted on May 10, 2011. These are some great tips, and I appreciate your advice to ask about weekly rates when staying at a hotel. My husband and I are going to be going on a fairly long trip, and there’s one area that we want to stay in for about eight days. I’ll definitely ask about weekly rates to see if we could save some money that way. Great tips! We are starting to stay in hotels more often and I have been pondering a AAA membership for the travel discounts as well as car peace of mind, esp. since we are road tripping more. I’ll definitely be looking into it again. Thanks for linking up today! Can’t wait for more hotel tips in the future. Great tips! We love hotel rewards programs – another benefit is that you are more likely to get an upgrade if you are a member. Thanks for linking up with Travel Tips Tuesday! These are great tips and I am glad that you shared them. I’ll be looking for lots more tips from you later this year when we move into our trailer to travel the country. 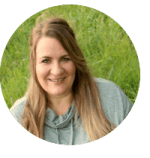 I also use MyPoints and earn points on there and then turn them in for free stays at hotel – even us RV fulltimers get away from vacation lol… AWESOME write up and for sure I am passing this on!! Hope you find some great deals! Great tips! I had no idea HSLDA offered discounts. Thanks for the heads up.